Posted on January 2, 2017 by Rebecca V.
Breathe, Annie, Breathe, by Miranda Kenneally, is about 18 year old Annie running a marathon in memory of her late boyfriend. Even though Annie hates running, she wants to run the marathon that her boyfriend, Kyle, was training to run in. It’s the end of Annie’s senior year, and she is trying to move on from Kyle. But when Annie meets Jeremiah, it’s harder than she could ever imagine. Jeremiah is Annie’s coach’s younger brother. He is a junior at the college that Annie is going to be attending at the fall, and loves running as much as his brother. Annie is scared to become more than friends with Jeremiah. Can Annie let Kyle go while training for the marathon? Or will she be stuck in the past? I personally loved this book. I saw Miranda Kenneally’s newest book in a bookstore, and so I decided to try to find it in the library. Instead, I found Breathe, Annie, Breathe and another Kenneally book, Jesse’s Girl, and I fell in love with both. I feel that this was a really realistic book, and I fell in love with it.What I also love about Miranda Kenneally is that some of the characters stay the same, but the plot isn’t. For instance, the football coach in Breathe, Annie, Breathe, is the main character’s brother’s girlfriend in Jesse’s Girl. I recommend Breathe, Annie, Breathe to anyone who has read Miranda Kenneally’s other books, is a Sarah Dessen fan, or is just looking for a good realistic read. This book isn’t mature for younger audiences. 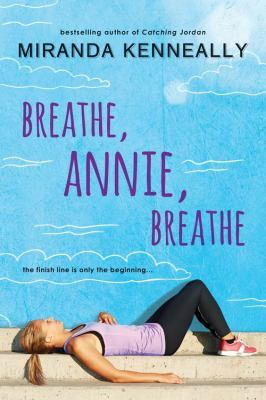 Breathe, Annie, Breath is available for checkout from the Mission Viejo Library. Posted on September 2, 2016 by Rebecca V.
Full-Ride by Margaret Peterson Haddix was a great book. Becca Jones, the main character, really represented normal high school students. She is stressing out over GPAs, SATs, scholarships, and classes for college, along with the rest of her friends. Becca isn’t telling the truth to everyone. Her father is in jail, and her mother’s lawyer tells Becca and her mother that they can’t tell anyone. If they do, Becca and her mother could die. Becca had to enter a different high school, in a different state, and make new friends. She can’t have any social media sites, and has to take down her Facebook page. Becca and her mom get through the three years, except when applying for colleges and financial aid, the truth is starting to come out. Becca applies for a scholarship, although accidentally sends in the wrong essay. In an interview, Becca blurts out that she’s the daughter of a prisoner. The people interviewing her don’t believe her, and thinks she’s going crazy. Becca’s mother is afraid of people finding out about her husband, and Becca is afraid of never going to college. Should Becca find out the truth and tell her friends? Or should she stay in her mother’s shadow, not going to college until her father gets out of jail? You’ll have to read the book to find out! Overall, Full-Ride really good read. I liked how this book was realistic. At the end of the book, there is a surprise, something you wouldn’t expect from a character that is mentioned, but isn’t seen a lot. I would recommend this book to anyone who is looking for a good realistic fiction read. 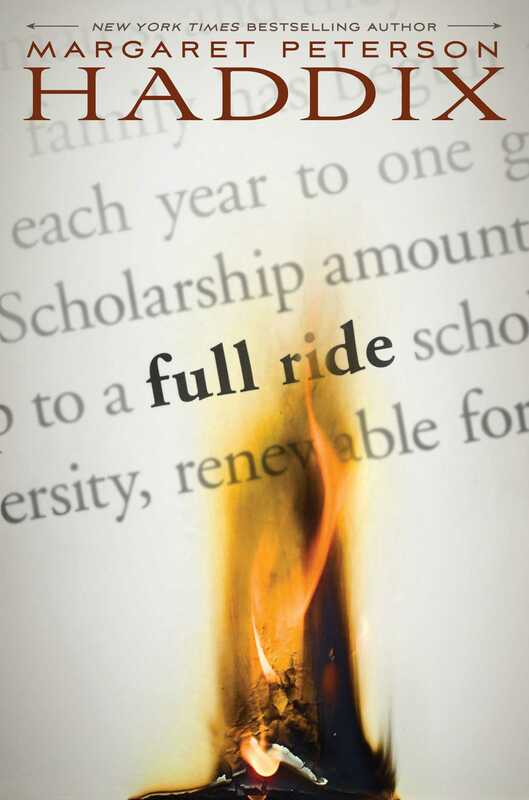 Full-Ride is truly a good book about high school, and getting into college. Full Ride is available for checkout from the Mission Viejo Library. The Catcher in the Rye, by J.D. Salinger, is a novel that expresses the loss of innocence adolescents are required to experience in their transition into adulthood. 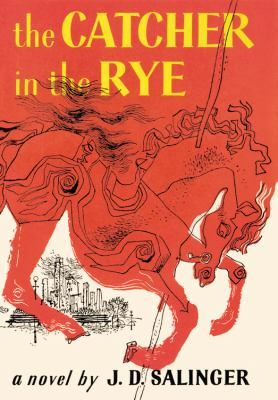 The book begins with the main character, Holden Caulfield, talking to what is later revealed to be a therapist about his life experiences since he got kicked out of yet another school because of his bad grades. At the very beginning of the book, Holden clarifies that he doesn’t want to say all that “David Copperfield crap”, alluding to Dickens books about Copperfield that went into extreme detail about every aspect of his life. As the story progresses, we learn that Holden’s younger brother, Allie, died from leukemia. Ever since then, Holden has been almost obsessed with the idea that innocence must be preserved in children, even going to the extent of saying his dream job would be being the catcher in the rye. He explains the job description to be hundreds of kids running around on a field of rye and whenever one of the children nears the cliff, Holden reaches down and catches them. Another way he shows his need to contain innocence in children is through his little sister Phoebe. His constant control and protection over Phoebe shows Holden’s need to preserve innocence. However, at the very end of the book, Holden accepts the fact that innocence cannot be preserved and that you must let children grow from their mistakes. All in all, the underlying themes and ideas in this book allow for a piece of great literature that I greatly recommend. However, it should be targeted for more mature audiences because of certain scenes in the book. Although it is a generally censored book, that should not stop you from reading it because the questionable scenes all contain underlying messages that only add the book and it helps us get a better understanding of the book. In the end, The Catcher in the Rye should be a book on everybody’s reading list. Posted on March 2, 2015 by Angela J. 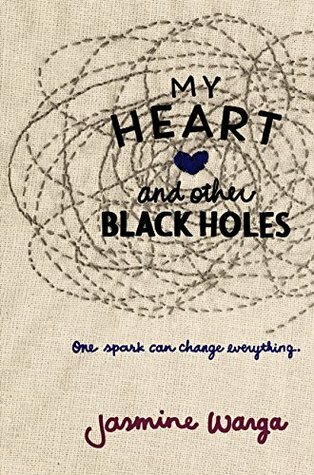 My Heart and Other Black Holes follows the journey of 16-year old Aysel as she plots her own death over the course of several weeks. Aysel is determined to die, she’s more afraid of what will happen if she lives than of the certainty of death, and she only has one thing holding her back. Aysel is worried that she might not have the courage to end her life by herself. She finds her solution on a website called Smooth Passages in the form of a boy name FrozenRobot (also known as Roman). Roman has his own baggage and his own reasons for wanting to die, but they both want the same thing in the end, to end their lives. Over the course of several weeks the pair spends more and more time plotting their way out. As their plan becomes more concrete, it also starts to become more uncertain if it will reach fruition because Aysel starts to question everything about her future plans. Throughout the course of the book, Aysel and Roman go through a lot of character development that makes them very believable characters and makes for a very good read. The thing that really makes this book stand out though, is that it deals with suicide and depression in a very realistic and raw way; it doesn’t romanticize these feelings, but it doesn’t discount them either. Given that this is a YA novel, I think that this is a very important thing. The way the plot develops is also nicely done, from the onset of the book we know that Aysel and Roman both want to die, but we don’t full know why, but as the plot moves forward we get bits and pieces until we can see the full story. Neither Roman nor Aysel know the full reason behind the other’s desire to die at the begging so both the read and the characters get this information together and it really draws you into the story. Roman and Aysel’s interactions with their family members is also very well done and interesting to watch develop and change. Roman’s mom and Aysel’s brother were my two favorite family members and I really enjoyed seeing how their actions influenced Roman and Aysel. As a whole My Heart and Other Black Holes is a very powerful book that has a lot of emotion behind it and dose a wonderful job dealing with suicide and depression. The book ends on a hopeful note and is great read for anyone high school and up. 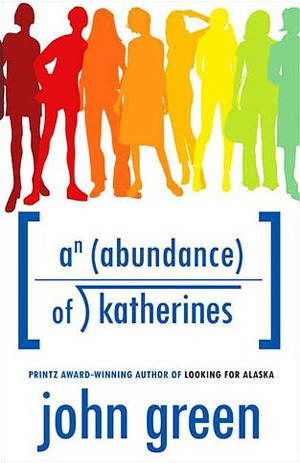 Posted on January 23, 2015 by Melika R.
An Abundance of Katherines by John Green is phenomenal book that is about a boy who has only dated girls named Katherine. The book starts with a boy named Colin who is introduced to be a child prodigy. He has just had is heart broken by his nineteenth girlfriend named Katherine. Colin is extremely upset, so his friend Hassan convinces him to go on a road trip. After convincing both of their parents, they go on the road trip. They stop in a town called Gutshot where they are offered summer jobs and a room to live in. The women who offers them these jobs has a daughter named Lindsey. Meanwhile, Colin is set on the fact of finding an equation that will predict the future of any relationship. Eventually, Colin finds that he is attracted to Lindsey. However, Lindsey already has a boyfriend. Anyone who has read any John Green books in the past would certainly be interested in this book and it is a wonderful book that I would recommend to everyone. Posted on December 12, 2014 by Satej B. In the world of literature, there are so many authors out there. But, there are a few dozen authors who will blow your mind, and one of them is Suzanne Selfors. The way Suzanne writes is simply amazing. First, her books are a fusion between comedy and seriousness. Especially in Smells Like Dog. This is definitely my favorite book written by her. 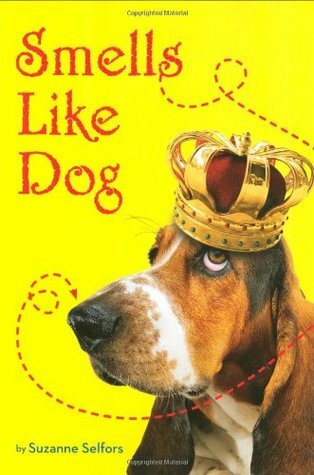 In Smells Like Dog, Homer, who is a farm boy, gets a gift from Uncle Drake– a dog! Except, the dog doesn’t do anything. Really he does nothing. But, Uncle Dranke, before he died, left a dog to Homer, which he called his most treasured possession. So what should he do with it? The dog just doesn’t want to do anything at all. Until… you’ll have to read the book to know. Out of 5 I would rate this story a definite 5. Also, out of 5, I would rate the author a 6, because it is very hard to find a great author. Thanks for reading, and please give comments below! Posted on December 10, 2014 by Alaina K.
Hey there Artemis Fowl fans! 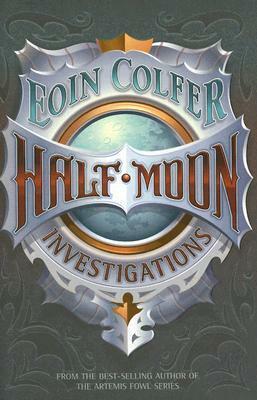 If you have already read (and reread) the Artemis Fowl series, another great book by Eoin Colfer is Half Moon Investigations. Though we know Eoin Colfer best for his incredible portrayals in the Artemis Fowl fantasies, his realistic fiction Half Moon Investigations is truly astounding. Based in present day, this is an action-packed mystery you won’t soon forget. In this novel, Fletcher (Half) Moon, a private detective, gets involved in his most dangerous case yet. When Fletcher is employed by April Devereux to investigate the Sharkey family, specifically Red Sharkey, he gets much more than he bargained for. Fletcher is badly injured, accused of a severe crime, and must constantly try to determine where his trust should lie. The twists and turns, vivid descriptions, and intriguing story line of Half Moon Investigations are sure to satisfy any voracious reader’s needs. One of this adventure’s greatest strengths is its ability to pull you in and not let go. I was completely engaged in Half Moon Investigations, and I felt like I was right there alongside Fletcher every step of the way. With phenomenal details and a spot-on view into the world of Fletcher Moon, this book is nearly impossible to put down. Eoin Colfer made all of the characters in his novel really come to life. It was almost as if you could pick up the phone book, find Fletcher Moon’s number, and have him describe the whole story to you in person. I would highly recommend this book to anyone who is a fan of the Artemis Fowl series or who is looking for a good mystery. What discoveries will Fletcher Moon make? It’s up to you to find out- by reading Half Moon Investigations.